The LG GW520 promises much - but can it deliver? The LG GW520 is an odd beast, neither fish nor fowl. It has a slide-out QWERTY keyboard, like a business phone, but there's no Wi-Fi, so you can't access broadband internet and there's no option to add apps like you can with a smartphone. 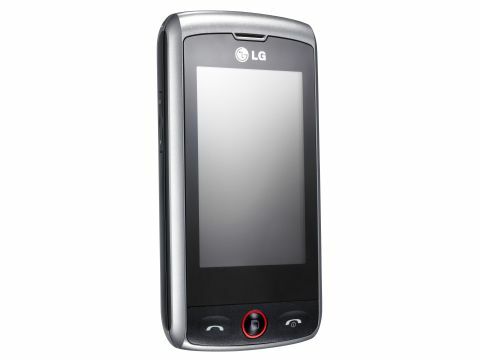 But it is a slim and sleek affair (at least by QWERTY keyboard standards) and includes LG's widget-based interface, push email, quad-band GSM, HSDPA 3G, a 3-megapixel camera and FM radio. There's also a couple of nods to social networking with a Facebook app and LG's Livesquare, which offers a picturesque way of keeping track of your contacts. LG is clearly aiming it at the middle of the market, but to keep down costs it has also dispensed with camera flash and autofocus as well as GPS and made do with very little onboard memory. It's less of a smartphone proper, and more of a QWERTY-packing Cookie – a low(ish) cost style phone with a little bit of extra attitude.